Ganjam Collectorate Jobs Recruitment Notification 2018.Ganjam Collectorate of Odisha inviting applications for the positions of Sahayika, TGT, PET, Matron, Sanskrit Teacher, Assistant librarian, peon, Hindi teacher vacancies.Interested and Eligible candidates can apply for the positions. 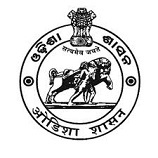 Number of vacancies to be filled in Ganjam Collectorate is 71. Post wise vacancy details are given below. 08th/ 12th standard/ diploma/ graduate holders can apply for this job notification. For TGT/ teacher posts applicants age can be in between 21 to 32 years, matron can have age up to 35 years, sikshya sahayak applicants can have age in between 18 to 32 years. Selected candidates will get pay scale post wise given below. Based on candidates merit they will be recruited. Through offline mode candidates can apply for Ganjam District recruitment through offline mode. 17th September 2018 is the last date to submit applications. https://ganjam.nic.in is the link for applicants to download and send to below given address. District Welfare Office, Ganjam, Collectorate, Ganjam, Chatrapur-761020.